Kicking off the New Year, we’ve summarized the top five luxury timepieces that we feel are worth considering if you’re looking for a high-quality timepiece. Some of the watches have won awards while others include several features which are associated with the best timepieces. We have included prices that can accommodate any budget. Not all luxury watches require spending tens of thousands of dollars to get some of the best features on a timepiece that can last decades or even generations to come. 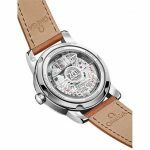 You may not be able to purchase the world’s finest watch at $160, but you will be able to purchase a well-built timepiece that has some features that you would be able to associate with a big-ticket luxury watch. It also happens to have a similar styling as the Rolex Submariner, which would set you back six grand or more. Japanese watch-making companies such as Seiko have a reputation for quality and accuracy, although they do not carry quite the same prestige as a Swiss watch-making company in our opinion. However, this particular model, the Seiko 5, is one of the least expensive timepieces that we have found with an automatic movement. That means that it does not need batteries and relies solely on your own motion to keep it ticking. 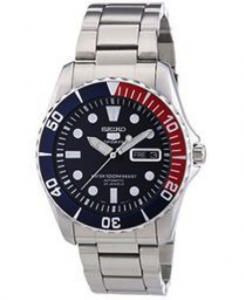 It is water-resistant to 100 meters; thus, it makes a decent swimming pool watch but not for diving. The crystal is made from mineral rather than the more robust sapphire which can be found in more luxurious timepieces, but, for around $160 you can not go wrong with a Seiko 5. 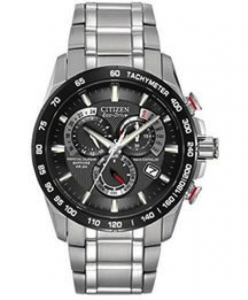 The Citizen Eco Drive is a clever hybrid which is both an ultra-accurate quartz watch that does not need a battery. What sort of sorcery is this you say? Normally, you would need to choose between one of these two features. The Citizen Eco Drive is powered by a small solar panel on the watch face rather than a battery. Thanks to Atomic Timekeeping it can also claim to the best most accurate watch in the world. Does it really matter if other timepieces go out of synch with time by a few seconds each week? For the most part, not really, however, it is still an appealing feature. Made in Japan, not the center of world watchmaking. That title is held for Switzerland, but still a country that is well-known for building high quality timepieces. It also has a sapphire crystal; which means that the front of the watch is very tough and resilient and unlikely to get tremendously scratched. The water resistance for this timepiece is 200 meters, which is double the depth as the Seiko 5 above which means that it should be fine for diving. 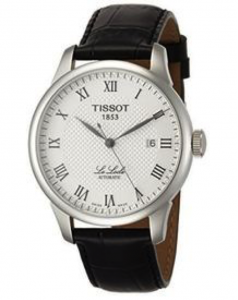 Tissot is well known to be one of the most budget-friendly Swiss watch brands out there. Their least expensive models start off ranging for as low as $130 or so. However, if you want luxury features then you will be looking at spending around $450 – $900. The Le Locle, which is a range named after the Swiss village where they originate from is the timepiece we’ve picked for our list. For this budget, you will be able to get an automatic watch with a tough synthetic sapphire. Unlike most of the other timepieces on this list, it also comes with a leather strap. If you are looking to be traditional, you should wear the timepiece with a metal strap at work and a leather strap during evening wear. In the real world, you can wear it whenever you want. It is water resistant up to 30 meters, although this does not actually mean it can be taken in the water at depths of up to 30 meters. Personally, we’d avoid getting it wet to begin with, besides the random splash you might get from say the kitchen or bathroom sink. 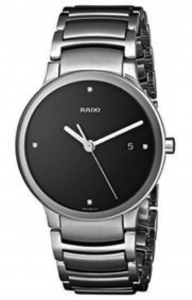 Swiss brand watch maker Rado makes both quartz and automatic timepieces. They have some very nice and fashionable designs which have their own personalities. The Centrix and True ranges for men are quite popular timepieces. The one listed is a quartz model, that some may not find appealing but for those who do it has a very tough sapphire crystal. It is also splash proof, however, you probably shouldn’t go testing it out in a swimming pool unless you like to live on the edge. At first, we were a bit hesitant on including Gucci in this guide as some luxury watch collectors will prefer brands which are primarily known as watchmakers rather than fashion labels. When it comes to designer labels, you quite oftenly pay more for the label itself and do not receive the features such as an automatic movement that you would otherwise receive for a similar budget from other watchmakers. 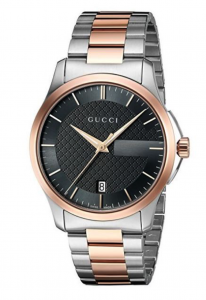 However, Gucci is one of the leading names in a large section of the watch market which includes stylish designs alongside decent build qualities. You will find that their watch designs are often more quirky than traditional watchmakers. 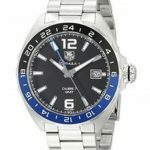 With that in mind, they appeal to modern men who do not follow the crowd with the familiar designs from watchmakers such as Omega, Rolex or Tag Heuer. Gucci has the added appeal of making timepieces in Switzerland, which is the center of the watchmaking world and is a badge of honour. Ultimately, we chose the Timeless range from Gucci. This timepiece has a quartz movement and a very tough sapphire front. It is water resistant enough for a quick dip at the swimming pool, but we would not recommend it for diving. If you are looking for a timepiece from Gucci that has an automatic movement then you will need to pay twice as much at around $1275 or more. Matheu’s Fine Watches & Jewelry has been providing quality products and professional services to the metropolitan Denver, CO area since 1951. The very first watch repair and service facility ever opened in Colorado. Dan Matheu, watchmaker, pioneered watch repair and services in Colorado. Today, Scott Matheu is at the helm steering Matheu’s Fine Watches & Jewelry. With his vision, Scott opened a watch store in Highland Ranch and has made Matheu’s Fine Watches & Jewelry not only one of the largest watch stores to provide watch repair in Highlands Ranch, CO but also the entire state. Whether you need watch repair in Highlands Ranch, CO, watch engraving, or even if you have an antique watch that you would like appraised, you can count on Matheu’s Fine Watches & Jewelry to provide you with superior service each and every single time. All of our watchmakers are factory trained and we have CW21 Certified by the American Watchmakers and Clockmakers Institute (AWCI) on site. This certification has the most stringent standards for watchmakers performing repair, restoration, and service work on watches. With one of the largest service centers in the metropolitan Denver, CO we are not only able to provide watch repair in Highlands Ranch, CO but to the entire 50 states as well.